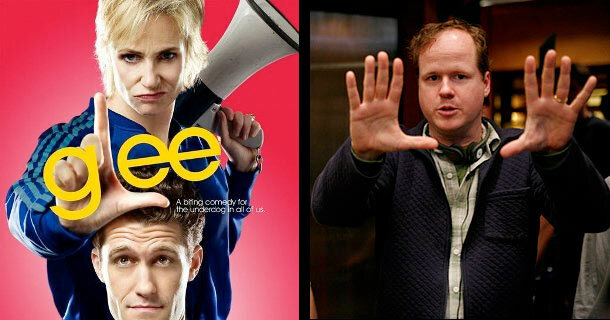 What New Directions does Joss have for the Glee Club? Because apparently I’ve been living under a rock for the past couple of months (well no, to be fair I may have been living under a rock for most of my life), back in October 2009 Joss confirmed that indeed the rumours were true: he would be directing one of the back nine episodes of Glee. Glee? But hang on, that’s not sci-fi or of the speculative genre at all. In fact, isn’t that a show of highschool teeney boppers singing and dancing? I mean, sure Joss was able to pull off a highschool vampire slayer, but she and her gang didn’t start breaking out into song until they had graduated from college, and Dr Horrible had a pHD in Horribleness before he hit the blogs to broadcast his internet music sensation. Do we really want to associate the genius of Firefly and Dollhouse with another wannabe Highschool Musical? I’ll ask you all to stop your shuddering now and perhaps share in a bit of my excitement regarding the news. Firstly, I’d like to clear up any misconceptions people have comparing this show to the likes of ‘Disney’s Highschool Musical’. 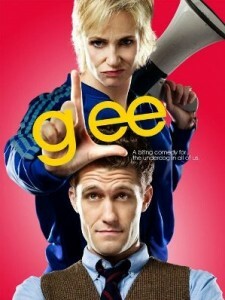 What does the L in Glee stand for? The show is witty with unique and distinct characters to maintain interest in. One of my initial praises was of how the show explores ‘breaking the boundaries’ of stereotypes society imposes on us, not just in highschool, but life in general. Both students and teachers have their own problems to face and work through. And yes, while some of those problems include boys, girls, popularity and hitting that high F, the characters also face challenges regarding the ability to manoeuvre through highschool hallways in a wheelchair, live life with OCD regarding germs, and trying to come up with ways to crush the Glee club – and hey while we’re at it – anyone associated with the Glee club. Life is tough, but hey at least it’s interesting. In terms of the songs sung, the producers of Glee wanted to ensure there was a decent mix of old-school classics, broadway musicals and modern songs. This means that there is likely to a song in there that you will enjoy. Though no-one has broken out in Hysteria – Muse wise – just yet, in the past the show has featured songs from Wicked, Lily Allen, Charlie Chaplin and the Beatles just to name a few. Also, I feel I should mention that there are a lot of talented young actresses and actors in the show, who can ACTUALLY SING. Bonus in a show about a musical choir hey? I do confess, since the return of the second half of Season 1 in April the show has lost some of its appeal for me. I seem to notice a bit of a soapie-drama feel to the episodes and it is starting to feel a little predictable in terms of its character developments and song breakouts. But hey, I’ll stick it out and hearing that an upcoming episode is directed Joss means that I’m not giving up on it any time soon. I mean, we saw what he did with the Buffy cast in ‘Once more with Feeling‘ and with an internet blog with ‘Dr Horrible‘. I have hopes for Glee yet. On a final note, Neil Patrick Harris is also to make an appearance in this episode as Glee club director Mr Schuester’s highschool nemesis. So I guess if the prospect of a new Glee episode and Joss directing an episode of Glee is not enticement enough for you to sit down and watch, then perhaps the hopes that Dr Horrible will come along with his Death Ray and obliterate everyone… is a little misplaced – but hey, whatever it takes for people to give the show a chance, I’m not going to argue ^.^;. Glee: The Complete First Season , which contain’s Joss’ episode, is available to buy on Amazon from here . MK I’m sooooooo torn over this news. 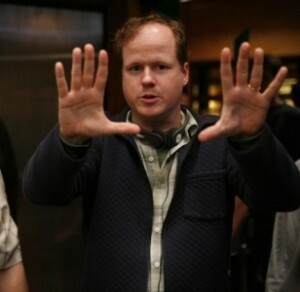 On the one hand it’s Joss (and Neil Patrick Harris! *squee*). On the other hand…it’s Glee. While I haven’t watched it (breaking my whole, don’t judge a book thing…it doesn’t quite reach to TV Shows yet 🙁 ), from all the media we see of it, it looks to me like badly caricatured amerikan teenage stereotypes indulging themselves in singing songs that don’t need to be redone (someone sang Lily and songs from Wicked?! How dare they, is my first reaction 😛 ). Haha! I am so excited about this!! I mean, it’s Joss directing and Neil singing! How can it NOT be good??! Meet the cast of Glee A little snippet with the 7 main student characters having their say about the show. A classic interaction between Will Schuester & Sue Sylvester (the head cheer leading coach). A lot of earlier fans found Sue highly amusing with her extreme views and attitudes towards people. Basically, she hates Will and is determined for Glee club to be annihilated. An example of a song Defying Gravity – Kurt & Rachel In this episode, Will is going to give the lead in Defying Gravity to Rachel but Kurt protests and feels that it is unfair to be not considered just because he is a guy, and the part is traditionally sung by a girl. Will later realises that Kurt has a point and decides that there will be a sing off between Rachel & Kurt – and whoever sings it better gets the part. It’s strange. For a highschool teeny show, there is something about it that compels me to watch. Like Jenny said, it is over the top a lot of times, which I think kind of works in its favour. If I had to pick one thing I’d say it was the characters who interest me the most; sometimes you relate to them, other times you just laugh at them. It’s got catchy music and is a refreshing take on the whole ‘show singing sensation’ that has seemed to have taken the world by storm as of late. In that first you-tube clip I think Cory Monteith (plays Finn the lead male singer) sums up Glee quite well saying that it’s a satire and a bit tongue and cheek – at least for the first half of the season. I’m a little worried that writers may start to rely more on giving performances and ‘feel good’ moral lessons. This is not something I have against per se, – but I like subtlety 😛 and hope that they do not shift away too far from the quirky scripts that featured in earlier episodes.